Teacher Action Research is an excellent professional development tool. Teacher Action Research empowers teachers to make a positive difference in terms of classroom practice; it enables us to provide relevant information about teaching and learning in actual classrooms. Most importantly, by engaging in reflective practice, the Teacher Action Researcher improves the lives of students by always seeking to discover better, more effective ways of implementing teaching/learning. The Teacher Action Research Program will facilitate the development of reflective teaching and best practices in the classroom. 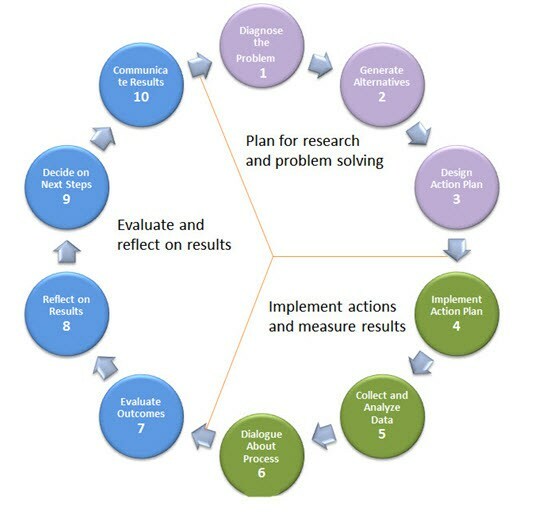 Teachers will first be guided in the development of the Teacher Action Research Process itself, then in the establishment of a Teacher Action Research Team, determining a Team Leader, scheduling meetings, sharing and analyzing data, then making decisions and changes based upon that data. 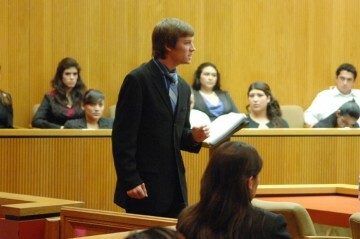 Students conducting mock trail - an authentic assessment.